The biggest shale play in the U.S. is set to pump 3.8 million barrels a day this month, according to Energy Information Administration data. That’s more than the United Arab Emirates, the Organization of Petroleum Exporting Countries’ third-largest producer. The cartel’s decision to cut its own production has actually thrown a “lifeline” to companies in the U.S. by stabilizing crude prices, according to Saudi Energy Minister Khalid Al-Falih. 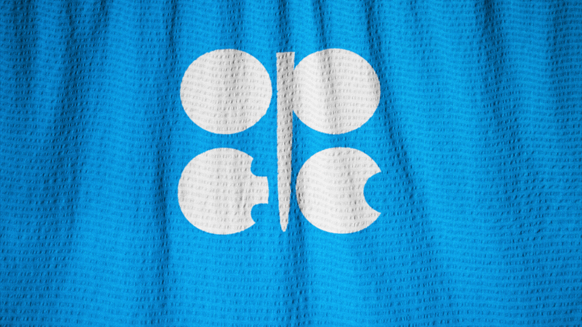 This is a dark cloud on OPEC’s horizon, but there’s some good news. Prolific output from Texas and New Mexico is placing serious pressure on infrastructure. The region isn’t equipped to handle such output levels and could only ship out around 3.5 million barrels a day at the end of 2018, according to Bloomberg Intelligence. The bad news for OPEC is that the U.S. is working on another wave of pipeline expansion, which could add 2.1 million barrels a day of takeaway capacity by the end of 2019, and another 2.2 million by 2021, according to Bloomberg Intelligence. The crude has to get to Asia first, and limitations in U.S. export infrastructure work in OPEC’s favor here. Constraints on tank space, shipping facilities and dock capacity at U.S. ports still have to be resolved, according to Bloomberg Intelligence.